Plastic is really hard to avoid. In fact, it's everywhere. Clothing, mattresses, furniture, carpet - plastic is used to prevent fires as well as food stains. And now, plastic is in an even more exciting place! Your bloodstream. Can Teflon-coated arteries be far behind? The recent stories about the return of serious metastisized cancers in public political figures Elizabeth Edwards and Tony Snow tripped my anxiety switch a bit. Less so than with the impending recession, but enough to get me worried. Almost everyone knows someone who is living with, or has died from, cancer. My own grandfather had colon cancer. Half of my mother's friends appear to be recovering from breast cancer. Recent studies are placing some of the cancer blame on female hormones. Man, women get blamed for everything. But seriously, estrogen just doesn't seem to do anything right. First, we were using it to ease symptoms of menopause in women, then it was found to increase cancer rates. Estrogen released by sewage systems is causing problems with fish populations. And now, it seems, estrogen, or chemicals that mimic estrogen's properties, are causing cancer left and right. As reported in the St. Louis Post Dispatch, scientists are just now discovering the link between plastics and estrogen. And it's kind of scary. In studies with mice, researchers have found that adult females exposed to bisphenol A in the womb have irregular estrus cycles and stop cycling earlier than unexposed females. The animals exposed to the chemical had changes in a part of the brain that controls ovulation and cycling, Soto said. Female rats exposed to bisphenol A in the womb developed carcinoma in situ and pre-cancerous changes in their mammary tissue as adults, she said. Bisphenol A is a compound that was studied in the 1930s for purposed of birth control, so its link to estrogen-like behavior is clear (estrogen is used in birth control pills to prevent pregnancy). The fact that bisphenol A molecules can link together to form a type of plastic is what makes it fascinating. Its potential for industrial use is why it was never actually used for birth control. Well, just because you're not popping it in your mouth everyday at the same time in the form of a pill, that doesn't mean that you don't have bisphenol floating around in your body. The chemical is ubiquitous and almost unavoidable.... Most people carry the chemical around in their bodies at low levels — about 1 part per billion in blood, urine and tissues. "That seems like a staggeringly small number until you realize that the natural hormone it's acting like works at levels 10,000 times lower than that...."
Is there a frugal angle here? Some of you Frugal Freaks are now saying, "Um, Andrea? That is your name, right? Well, I like my Wise Bread posts to be about money and how I can save it. Not about dumb things like health care and cancer and how cancer affects me and the public... and the uninsured... and job performance, and as an extension, taxes and healthcare costs as they apply to the insured... and... OK, Andrea, I get the damn point. Cancer is affecting us, and trickle down economics means that, even if I don't get cancer, it the rates are skyrocketing, it will affect my bottom line somehow." Excellent, I'm glad you understand. If you like, we can put aside the emotional impact of living and dealing with cancer. If you get really cold and calculating about it, cancer is expensive, in terms of time and money and productivity. Cancer costs. And as baby boomers age, it's going to cost all of us more and more. San Francisco, my favorite bastion of forward-thinking, politically active and highly paranoid citizens, was thinking of banning the chemical in children's products back in 2005. I'm having trouble finding out if the ban actually occurred, but the plastics industry went completely insane. You can read a great rebuttal from a Plastics Council hack here, or enjoy a "consumers" group that is completely dedicated to keeping bisphenol A in our products. I wonder if there was a similar consumers group that was pushing to keep saccharine in our diet drinks? "This isn't a basketball game. You don't just count up studies and see what the score is," said Steven G. Hentges, executive director of the Polycarbonate Bisphenol A Global Group of the American Chemistry Council. Actually, you CAN add up the studies and see what the score is. That's the whole point of studies. I mean, yes, many scientific studies are flawed, and other factors must always be taken into consideration. For instance, what if it turned out that every person tested in the bisphenol studies was a pack-a-day smoker. We'd expect to see elevated levels of cancer in smokers. But in this case, we're talking about 140 government-sponsored studies, not a few rogue studies by whacky environmentalists. As usual, this controversy seems to be divided along political lines. People who really love bisphenol A are either industry reps or Fox News contributors who run web sites that mock the hell out of Al Gore. 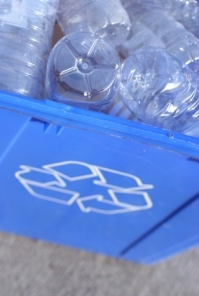 Many sites that seem to take the concerns about BPA seriously are run by environmentalists. But the Nation Institutes of Health is looking into this matter, so for now, the best we can do is really push for further studies to see if the amounts of BPA that we have in our bloodstream are really dangerous to us. OK, fine, but really, how do I avoid this stuff? Well, I wish that I could simply give you a list of things to avoid, but unless you are going to get Lasik surgery (since bisphenol A is found in glasses and contact lenses) and throw away your Nalgene bottle (and a host of other products), then really this is one of those issues where you have to get politically involved. Hard, clear plastic baby bottles - EVERYONE knows that breast is best! Or use glass bottles like my parents did. Hard, clear, sometimes tinted, plastic water bottles - I never liked those Nalgene bottles anyway. Hard, clear plastic bowls, tableware, storage containers - Use glass and ceramic. Liners inside food and drink cans - You shouldn't be drinking stuff from cans, anyway. Dental sealant to prevent cavities - Brush your teeth! Don't let them seal your teeth with plastic! Electronic equipment - Read a book. I can't think of anything else, because I love electronics equipment, and that's a broad category. Sports safety equipment - I'm not going to suggest that you don't wear a helmet. WEAR A HELMET. Medical devices - Too darn bad. Can't do without those. Pet carriers - Would it be uncouth to suggest just bounding and gagging the little critters? Spray-on flame retardants - Nope. Can't avoid these. Unless you shop for natural furniture and floors. Pretty tough to avoid all that stuff, isn't it? Unfortunately, I'm not sure that there is a great answer out there as to how to deal with something as ubiquitous as this chemical. Plastics are an undeniably amazing product. But I'm starting to question just how many bits of Tupperware I need. Also, I'm feeling bad about mocking the New York lady for taking her food to work in a mason jar. Maybe she has the right idea. Wow, I'm blown away by the quality of this article, nice work. Good stuff, well-explained. Scary but excellent insight. "I like my Wise Bread posts to be about money and how I can save it"
Actually, I like my Wise Bread posts well-done and extra spicy. But that's just me. Ditto on the excellent article. I thought SF was a bit crazy for banning plastic bags in supermarkets, but after reading your article I guess they might be right! I remember all those commercials that the plastics council used to put out on TV. Showing someone dropping a shampoo bottle in the shower, and it would bounce instead of shattering at their bare and tender feet. There was lots of music and soft-focus camera work, like the cotton commercials (The Fabric of Our Lives). And I remember thinking, "Why the hell do we need to care about plastic? It's ubiquitous enough." I guess this is probably the time when the first studies came out explaining just how dangerous bisphenol A could be to our health. Course, nothing's set yet, right?